National Bourbon Heritage Month is celebrated the entire month of September, and to help mark the holiday, Trademark Tavern (777 E. Butterfield Rd. Lombard, IL; 630-472-0777) introduces their signature private label, Trademark Bourbon, made especially for them by the fine whiskey maker Evan Williams. The whiskey is aged in oak barrels at the Evan Williams distillery. This remarkable spirit has inspired Trademark to create two specialty cocktails. The Trademarkini ($8) is made with Trademark Bourbon, Chambord, cranberry and a lemon twist. The Don Draper Old Fashioned ($8) harnesses the essence of the iconic Mad Men character and is made with Trademark Bourbon, unrefined sugar, an orange slice, and bitters served classically on the rocks. For a deeper look into this unique holiday, Trademark Tavern also shares the rich history of the spirit. More than 200 years ago in Kentucky, immigrant farmers planted what turned out to be a highly successful corn crop. Soon after, many corn whiskey distilleries were built in the area. Historians aren’t certain who had the first idea to age whiskey into bourbon. It may have been a gentleman named Elijah Craig in 1789. Or bourbon may have a more organic beginning, by evolving with those who had a hand in making it. Whichever may be true, it is not disputed that the time honored liquor is now referred to as the True American Spirit. Fleming’s Prime Steakhouse and Wine Bar Chicago (25 E. Ohio St., Chicago, IL 60611 312-329-9463) and Fleming’s Lincolnshire (960 Milwaukee Ave. Lincolnshire, IL 60069 847-793-0333) invites you to take a breather on Labor Day to enjoy its 5-6-7 menu all day long! The unofficial end of summer is upon us, so get your last taste of the season with a selection of appetizers, premium cocktails (including a 99-calorie option!) and distinctive wines by the glass for only $6 each. Mix and match items from the exclusive menu to create your perfect pairing of drinks and bites. Fleming’s 5-6-7 Labor Day menu includes…..
Chicago French Market's LAVAZZA Espression will be hosting its “Falling in Love with Coffee” promotion through September 6. Purchase a Kilo of whole bean coffee with a MasterCard and receive a complimentary limited edition coffee tin. 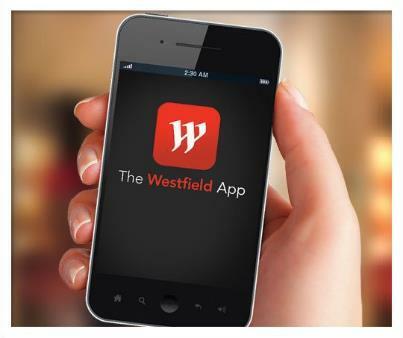 Significant upgrades have been made to the Westfield App v2.0. Shopping at Westfield has never been easier with new enhancements including expanded product search, enhanced retail offers, social media updates, voice command and online purchasing capabilities for movie ticket and dinner reservations. The more user-friendly App is both a time and money saver for the tech-savvy shoppers that are expected to flood the mall during the back to school shopping season. Westfield App v2.0 represents the convergence of mobile, offline, online and social experiences for shoppers, providing a one-stop shopping tool for anyone looking to more easily navigate their local Westfield shopping center. Westfield Old Orchard, Westfield Fox Valley, Westfield Hawthorn and Westfield Southlake can now be accessed. The app is currently available for iPhone with an Andriod version to follow this September. Westfield Old Orchard now has free WiFi available to all patrons. No cords, connector cables or hot spot devices needed! Take a breather during your shopping excursion to get connected. 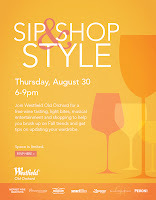 For more information contact the Westfield Concierge at 847-673-6800. 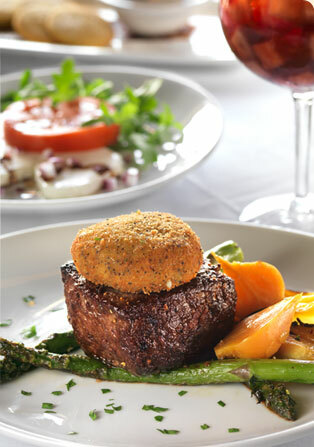 Fleming’s Prime Steakhouse & Wine Bar (25 E. Ohio St., Chicago, IL 60611, 312-329-9463; 960 Milwaukee Ave. Lincolnshire, IL 60069, 847-793-0333) is synonymous with its award-winning list of 100 wines by the glass, the Fleming’s 100.® Each September, as the restaurant's newest wine collection is unveiled, Fleming's celebrates a “Month of Discovery”, featuring a series of unique wine events and food offerings that will appeal to both wine novice and true connoisseur. Fleming's proprietary collection of 100 wines by the glass is a unique approach to discovering and celebrating wine without having to order an entire bottle. "Wine is an intensely personal choice, and wine by the glass is the perfect way to celebrate it," says Maeve Pesquera, Fleming's Director of Wine. 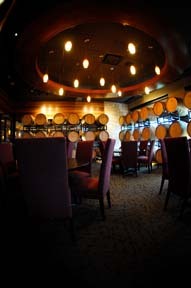 The new collection for 2012/2013 features many iconic wineries from California as well as top-rated European wineries. The international roster also includes a number of remarkable wines from Chile, Argentina, Australia, New Zealand and South Africa. "Pinot Smackdown" (September 7th) -- Pinot Noirs from California’s Central Coast compete against Pinot Noirs from Sonoma, Oregon and the Anderson Valley. "Battle of the Hemispheres" (September 14th) -- California takes on South America, Australia, New Zealand and South Africa. "Old World vs. New World" (September 21st) -- European masters from France, Italy, Germany and Spain go against the best and brightest winemakers from California. "Glass Warfare" (September 28th) -- Premium wines and value-priced wines made from similar grapes are put to the taste test. 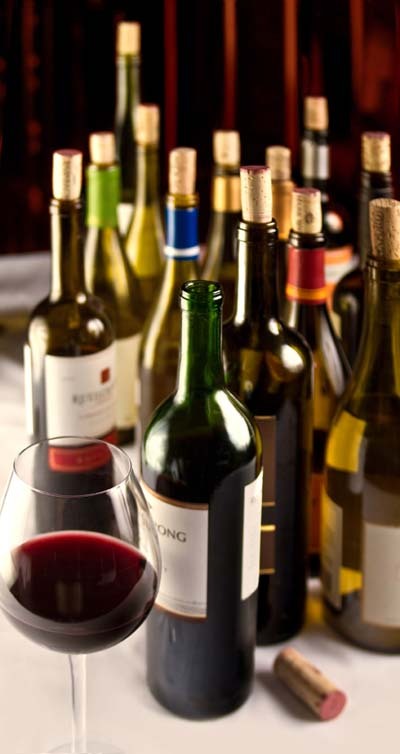 Guests will have an opportunity to save 25%** on select bottles in Fleming's main dining room. "Last Call" will debut on September 1st and quantities will be limited to stock on hand. Restrictions apply at selected locations due to local and state liquor laws. 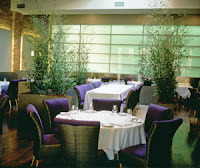 Complete details about this opportunity can be found at www.FlemingsSteakhouse.com. Fleming's celebrates its new wine collection with a prix-fixe menu for two, available from September 1st through September 30th. 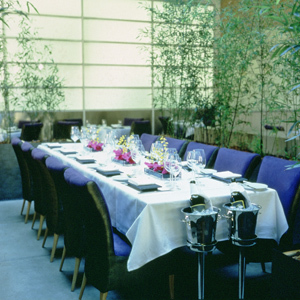 Each guest will enjoy a triple entrée of broiled filet mignon, herb baked shrimp and braised short rib, with shrimp bisque and a dessert of frozen almond soufflé. 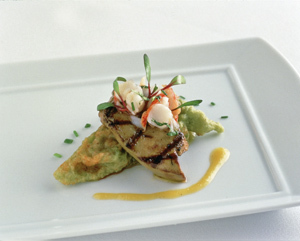 The 3-course menu is priced at $99 for two, and $49.50 for one. For an additional $25, each guest may order a specially priced flight of three wines -- The Prisoner, Primus Cabernet and Quintessa 2006 -- all from the Huneeus Vintners Portfolio. The Westfield French Market comes to a close Thursday, September 27. However, as summer winds down, a slew of garden-fresh produce are coming into season. Radicchio, plums, winter squash and turnips are some vegetables that are harvested fresh in September and are available now towards the close of Westfield’s French Market. 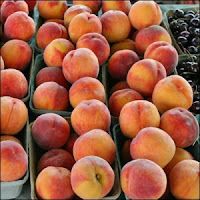 Other end of summer crops includes apples, Asian pears, and peaches. Westfield Old Orchard’s French Market provides consumers a convenient choice to buy the season’s ripest produce in their Thursday market. You’re invited to enjoy the last days of the market from 2 p.m. to 7 p.m. every Thursday in September. The European-style market will offer artisan food, jewelry and gift items for the home from local and national vendors including B True Bakery, Hahn Bakery, KAP Farm, Organo Gold Coffee, The Blue Olive, Fraternite, Notre Dame, Provence Imports,Twin Garden Farms, and The Bakeman. Up and coming country/folk singer and songwriter, Erich McMann will be holding a special performance at the Westfield French Market September 20. Come and enjoy a free concert showcasing songs from his debut album "The Last American Songbook." Get the chance to meet the Chicago-native and get a free copy of his recently release album. For those end of summer shoppers still looking to enjoy the market, Westfield has added ‘dots’ to all the maps and directories around the shopping center to guide guests to the French Market area. A-frame signs also have been placed at five of the major entrances to help navigate eager market shoppers through the center. The Westfield French Market is located near Macy’s by the Koi Pond. For more information, call 847-673-6800. 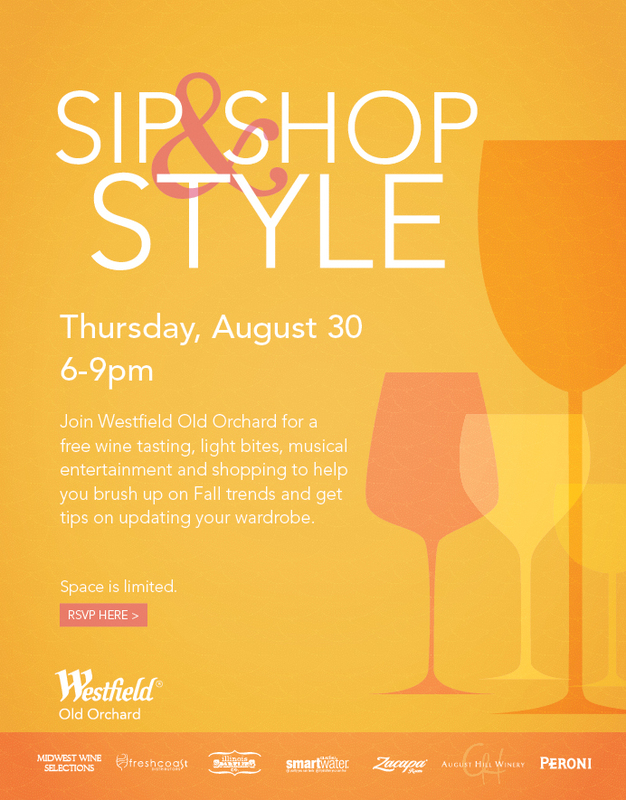 Send the kids back to school in a big way with a chance to win a $500 shopping spree at Westfield Old Orchard. A new school wardrobe filled with the best names in designer goods is at your fingertips. To enter, just visit Westfield’s Facebook page and let them know what is on the top of your back to school shopping list. No purchase is necessary. 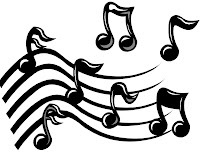 Warm up your vocal chords and bring the family to Westfield Old Orchard (Skokie Blvd. & Old Orchard Rd. ; 847-673-6800) for the latest event in its WFamily series. 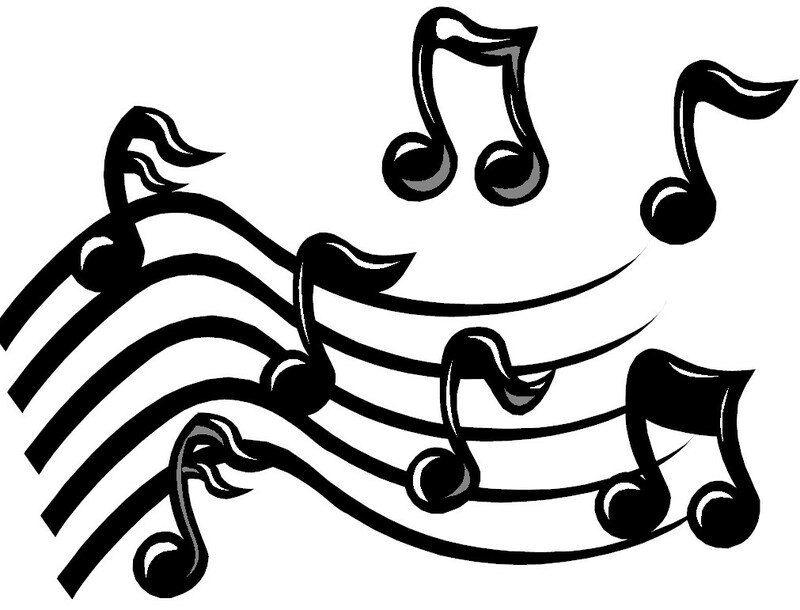 From 11:30 a.m. to 12:30 p.m. Saturday September 1, Westfield invites you to delight in a sing-a-long of some of you and your little one’s favorite childhood songs. Afterward, enjoy a music-themed crafting session so kids can take home a souvenir from the day of singing and fun. Westfield’s WFamily event series is free and is designed for Northshore and Chicagoland preschool aged children. Partnering with the Skokie Public Library, WFamily celebrates learning through literacy and creativity. This event will take place at the shopping center’s Barnes & Noble and is open to the public, no registration is required. 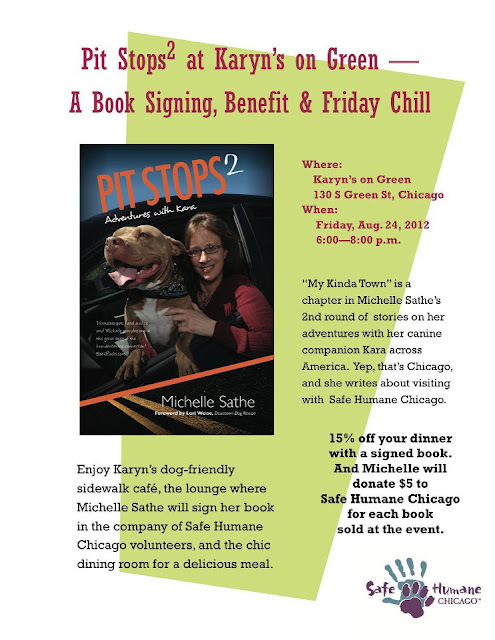 Chicago animal lovers, come to the Pit Stops2 signing at Karyn's on Green tonight, 6-8 p.m., for a benefit with Safe Humane Chicago. $5 of every $20 bookmark package will benefit SHC and those with a signed copy of Pit Stops 2 will get 15% off dinner (and I heard the food here is awesome!). Fleming’s Prime Steakhouse & Wine Bar’s (25 E. Ohio St., 312-329-9463; 960 Milwaukee Ave., 847-793-0333) Summer Lovin’ Steak and Sangria special is coming to a close, but it’s not too late to enjoy the last menu of the series beginning August 13 through August 26. The fourth and final menu features items inspired by the rich flavors and textures of Milanese café fare. 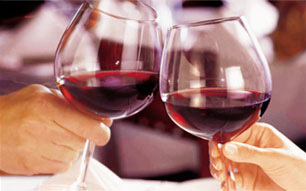 Guests will enjoy a 3-course menu for $39.95 plus and optional sangria pairing for an additional $7.95. The final Steak and Sangria menu will offer a Tomato & Mozzarella Salad with sliced beefsteak tomato, fresh mozzarella and arugula with red onion vinaigrette for the first course. The next course will be an entrée trio of Prime New York Strip topped with crispy gorgonzola, grilled asparagus, and pickled fennel with baby gold beets. The dessert course will offer Lemon-Poppy Seed Butter Cookies topped with vanilla ice cream and warm apple-ginger sauce. Finally, add the Sailors Sunset Sangria which is mixed to perfection with Sailor Jerry Spiced Run, Red Diamond Merlot and Peach Schnapps with fresh peaches, oranges and lemons. Come enjoy this last taste of summer at Fleming’s with their final Summer Lovin’ menu. For reservations, please contact your local Fleming’s location. The French market in New Lenox creates a unique gathering place for buyers and sellers, aiming at promoting more sustainable shopping habits. This south-suburban market provides the necessary environment to shop local – by hosting a variety of vendors from wine and cheese makers to jewelry and dog treats sellers. 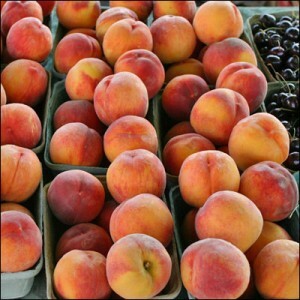 Public markets are known for their fresh assortment of fruits and vegetables. 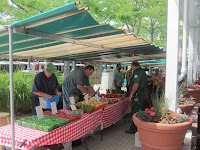 The New Lenox French market presents KAP Farms and Zeldenrust Farms to meet the need. Zeldenrust Farms is a veteran of farmers markets, and has been providing the Chicagoland area with local produce since 1969. Another vendor Hahn’s Bakery sells a fun selection of mustard jams and jellies, and Stamper Cheese delivers on domestic and imported cheese. There is more than food available at the New Lenox French Market. The Art Box sells jewelry and colorful ceramic tiles. For the four-legged visitors, Tucker’s Doggie Delights has natural treats and other pet supplies available. Organizers of the market have also planned activities on select Saturdays. Momma Cuisine will be at the market on August 11, helping parents create “great everyday meals” by sharing her knowledge and recipes. 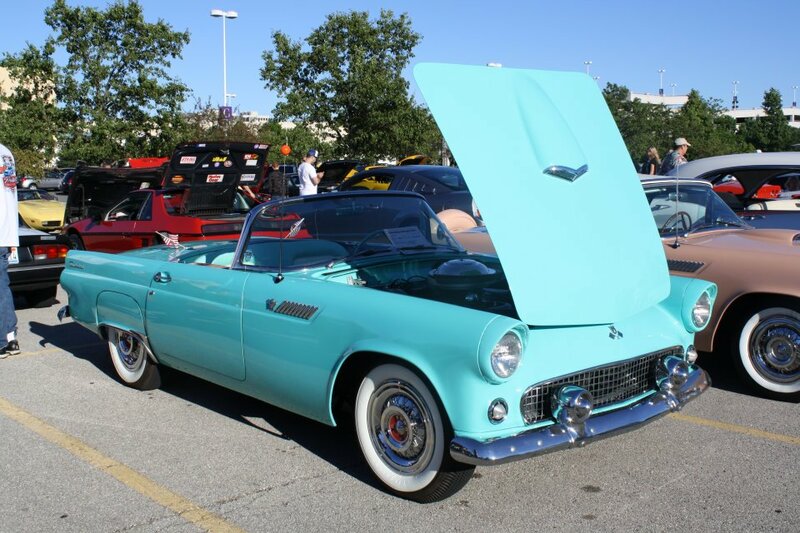 There will also be children’s activities, hands-on workshops and the New Lenox Food Pantry Collection. The New Lenox French Market is open from 8 a.m. to 1 p.m., through October 6; and is located in the south parking lot of Village Hall. The market is run by Bensidoun USA, a company with 50 years of experience in management and development. Try this new recipe from Chicago French Market vendor, Oh, Olive! This Oh,Olive! 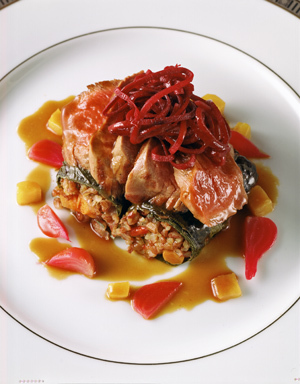 recipe will inspire you to invite your friends and family over for a summer barbeque. This month the team created a Mango-Chipotle Wings recipe. Heat oil in medium saucepan, over medium-high heat. Add onions and cook for 4 minutes, stirring constantly. Add garlic and sauté for 1 minute. Add Mango Balsamic and stir to deglaze the pan. Incorporate sugar and salt and bring to a boil. Reduce heat to medium and simmer 10 minutes until thickened. Set aside. Bake chicken wings at 375 (or grill over medium-high heat) for 25 minutes. Remove from oven and generously brush with sauce, reserving some sauce for dipping. 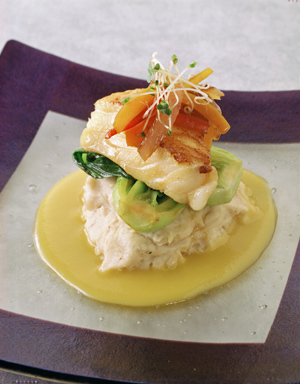 Reduce heat to 300 degrees and bake an additional 30-35 minutes, basting after 15 minutes. Remove from oven and serve with reserved sauce. * May substitute Raspberry, Black Cherry Balsamic, or your favorite fruit flavor balsamic! Maverick & T are a well-known Chicago-native duo whose vocal talent with accompanying guitar spans every genre from classic rock to soul. Come enjoy their rush hour concert. It’s the perfect way to end a hectic day! Chicago French Market’s City Fresh Market is hosting the Taste of City Fresh Market where you’re invited to taste and enjoy a wide variety of fresh and local offerings from several national vendors - some right in your backyard! More than ten vendors will be on hand to offer samples and discuss their products. Vendors will include i heart keenwah, offering naturally nutritious snacks and granola, Dietz Watson Meats, one of the largest preparers of Premium Deli Meats and Artisan Cheeses, and Made Drinks, offering MADE® , a line of all-natural and organic green teas, flavored with real fruit juice. Make your lunch more enjoyable with Chicago French Market’s free lunch hour concert by folk musician Steve Justman. Justman hails from the Chicago area and has performed in many of the best acoustic venues in Chicagoland. He is excited to return to the market to perform a lunch hour concert from 11- 2 pm. Pastoral Artisan Cheese, Bread & Wine will be hosting its monthly wine tasting featuring several varieties of French wines. Come taste some new French labels and they may become your new favorites. Nothing tastes better in the summer than a cold beer. You’re invited to the Frietkoten Summer Beer Tasting 4-6 pm, Thursday, August 16. Enjoy six 2 oz. 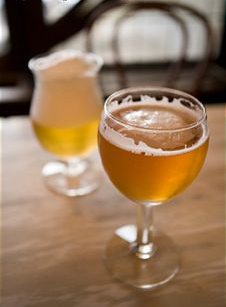 beer samplings plus a cone of their famous Belgian fries with a dipping sauce for only $10. Tasting options include Ace “Joker” cider, Avery “White Rascal” with beer, Krombacher “Pils”, Sixpoint “Bengali Tiger” IPA, Smuttynose “Star Island” Belgian style single and one beer on tap. 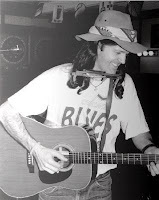 Inspired by iconic musician, Bob Dylan, Coventry Jones is a singer/songwriter from Milwaukee, WI who combines critically acclaimed vocals with styles ranging from folk, Celtic and blues. His song roster expands across a large variety genres and you are sure to know many of them. Come enjoy his free rush hour concert 4-7pm, Thursday, August 16. 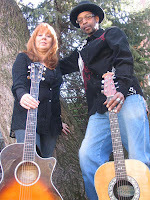 Dean Milano is a songwriter, musician and the author of The Chicago Music Scene: 1960’s and 1970’s. Make your lunch memorable by enjoying a free concert performed by this Chicago music legend. Come join us 11 am Saturday August 25 for the last stop in the Buick & Momma Cuisine French Market Tour! Check out the latest Buick model on display and See Momma Cuisine herself, Johanna Cook, create some of her “Great Everyday Meal” recipes using ingredients from The Chicago French Market. Johanna Cook is a mother of three from the western suburbs of Chicago. She spent 10 years of her career in the restaurant industry as a corporate trainer and manager before starting her blog, www.MommaCuisine.com , a venture she created simply to express her love of food writing. Today, it has grown into a weekly cooking show with thousands of followers who find inspiration in her “Great Everyday Meals”. Johanna has been featured on WGN America, and in Kaia Magazine, Chicago Parent, and Suburban Woman Magazine, just to name a few. You have enjoyed his amazing performances before…. so come back, pick up dinner and enjoy a free rush hour performance by Dean Milano at Chicago French Market. Abbey Brown Soap Artisan, the Chicago French Market vendor that creates handmade natural Olive Oil soaps, soothing body oils and relaxing bath essentials, is now launching a men’s line called Terra Firma. Terra Firma will debut featuring 5 soaps with matching soaks (bath salts). The new soaps will feature masculine scents including Coastal, Territory, Zone, Ground and Terrain. All products are created and packaged with men in mind and will offer larger bars made with natural oils and great packaging designs. For the month of August, Abbey Brown Soap Artisan will be offering a 10% discount when you purchase one soap bar and matching soak from the new men’s line. 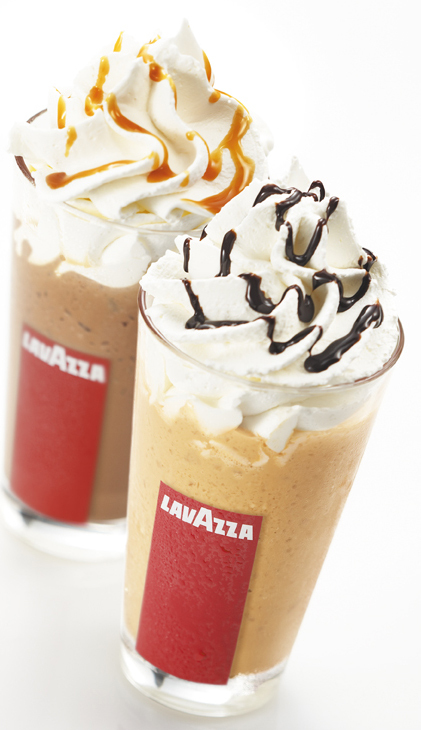 Lavazza Premium Espresso will be offering the Blendissimo® as its feature drink for the month of August. This unique coffee-based frappe features a cool blend of espresso, vanilla gelato and caramel and is topped off with whipped cream. The Blendissimo® also is available in the following combinations: Mocha, Orange Mocha, and Hazelnut Mocha. In conjunction with the Magnificent Mile Shopping Festival, Lavazza Premium Espresso will be hosting the “Falling in Love with Coffee” promotion, August 24 - September 6. Use your MasterCard to purchase a Kilo of Whole Bean Coffee and receive a limited edition Lavazza Coffee Tin. If you plan on doing some summer entertaining, remember a few of the delicacies from the 2nd Annual Pastoral Artisan Producer Fest to include in your spread. New products from the fest are now available for sale at Pastoral. Take home a few servings of locally produced fresh goat cheese from Prairie Fruits Farm & Creamery in Urbana-Champaign. Cheese maker Leslie Cooperband creates a super creamy goat cheese with notes of lemon and wildflowers called Fresh Chevre. It’s sure to please your guests. Add artisan charcuterie from Creminelli Fine Meats in Salt Lake City to your menu. Cristiano Creminelli learned his craft from his father and grandfather in Piedmont, Italy. 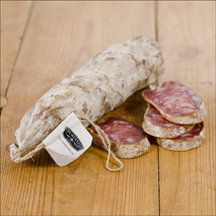 Now you can enjoy their specialty meats like Calabrese, a mildly spicy Calabrian-inspired salami with a nice garlic undertone or Milano, an everyday salami with a mild but slightly peppery flavor profile. Lastly, pull all these artisan treats together with some remarkable spreads and Tapenades. The Gracious Gourmet in Bridgewater, CT will help you do just that with Fennel Blood Orange Tapenade. Slowly caramelized fennel and red onions mixed with Kalamata olives and blood oranges create this Sicilian inspired tapenade. Also available is the Spiced Sour Cherry Spread, a mix of whole and pureed sour Morello cherries, tart dried cherries and spices simmered in red Burgundy wine.